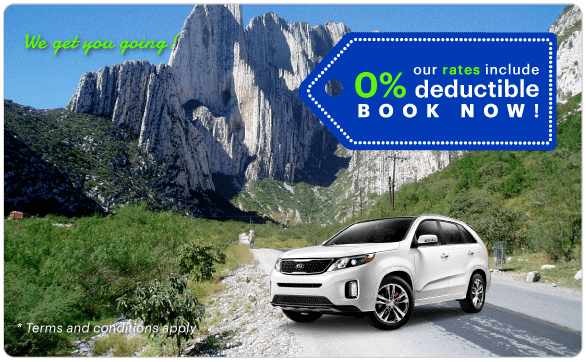 With over 20 years of experience in the rental of cars and vans, we offer competitive rates, as well as a variety of categories to choose the best option that best suits your price range and travel needs to the Mexican Pacific region. Tour the city of Colima with the brand new trucks and cars of America Car Rental Colima, it will be very easy and comfortable. Drive from downtown, passing through the Metropolitan Regional Park and the Nunez Garden, to the beautiful surroundings (no more of 100 kilometers) that include beaches, spas and caves, to mention some of the interesting tourist spots that you can visit during your stay in Colima. 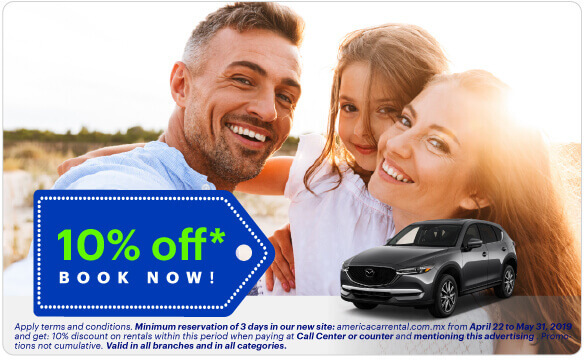 For your convenience, we are available 365 days a year at our Colima branch, so that you can easily and quickly rent a car or van upon your arrival. 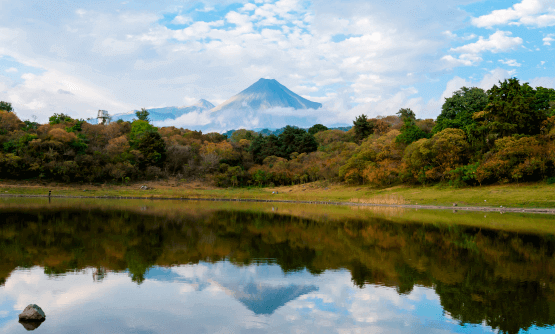 WHAT TO DO IN COLIMA? With the car rental in Colima, one of the main advantages is that you can drive and enjoy at your own pace, not only the city but the entire state, which has a wide variety of tourist attractions, cultural sites, as well as archaeological, beaches, spas and caves. During your visit to the city of Colima, whether for pleasure or business, do not miss the exquisite cuisine, among which the pozole, sopitos colimenses, tatemado, pepena and cuachala stand out; or go buy handmade pieces made with coconut, palm hats, pottery, equipales and colorful masks, among others. Stroll through the green Garden Núñez. Tour downtown of the city of Colima, including the Andador Constitución. Visit the Metropolitan Regional Park as a family. Go to mass in the Cathedral of Colima. Spend a nice day refreshing yourself at the El Hervidero spa or at the Agua Fría spa. Refresh in the waterfalls El Salto. Visit the archaeological sites of La Campana and El Chanal. Enter the caves of San Gabriel. Refresh on the famous beaches of Manzanillo or Playa Paraíso. Spend the day in the Magical Town of Comala. Go shopping in the town of Suchitlán, known for its equipales, reed baskets, palm weavings, and masks. Let us assist you and offer you a fast and efficient service at our America Car Rental Colima branches. It is VERY easy to rent a van, or rent a car in Colima! We have the perfect ones for you!